Samsung has added an extra option to its Chromebook 2 line of budget notebooks.The new addition with an 11.6-inch 1366×768-resolution display replaces the Exynos 5 Octa processors from the original two notebooks with a 2.58GHz Intel Celeron N2840 processor and Intel HD graphics, while at the same time downgrading the amount of RAM from 4GB to just 2GB. Along with the faster processor the new Chromebook 2 will come equipped with 2GB of RAM, which is actually a decreased when compared to the 4GB offered from Samsung’s chipset. The Intel Celeron Chromebook 2 will also reportedly offer excellent energy efficiency, as the device can reportedly run up to nine hours on a single battery charge. Along with making some changes the device’s innards, Samsung has also reportedly made some improvements to the notebook’s durability. The 2.65 pound chassis will be supported by a strong metal frame, including reinforcements behind the display, around each corner and covering every USB port. Despite the sturdier build, the new Chromebook still looks like its predecessors featuring a leather-like case that runs along the top of the display lid. Not much has changed with regards to the devices display; the Chromebook 2 will feature an 11.6-inch HD (1366 x 768 resolution) LED panel. The Chroombook 2 will also offer two 2W stereo speakers, an internal microphone and a 720p HD web camera. 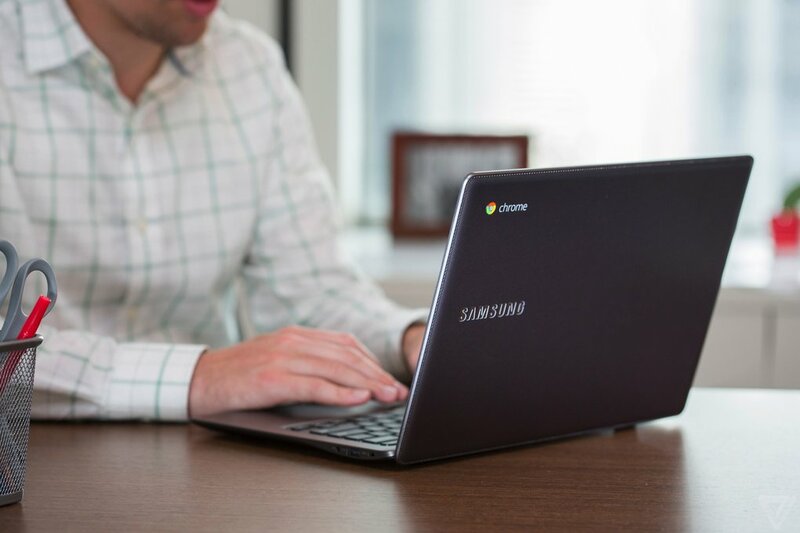 Opening up for pre-order today and shipping on October 20th, the Intel-based Samsung Chromebook 2 is priced at $250.